Do you have a physics teaching-related question to which you need an answer right away? Submit a request for an Instant Mentor, and a Mentor from a pool of volunteers will try to respond to you within 24 hours or as soon as they are available. 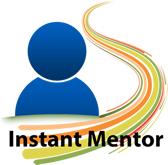 Note: The Instant Mentor request is not meant to replace the formal eMentoring experience. Please use this option if you are not seeking a formal eMentoring experience, while waiting to be paired with an eMentor, and/or if you need immediate help, and your eMentor isn't currently available to assist you.